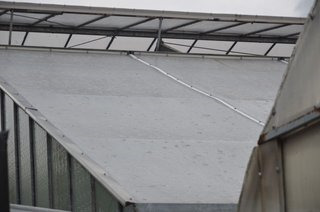 SolaWrap Greenhouse Cover Stands Up To Hail! 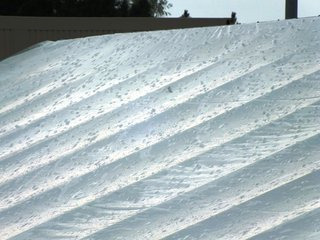 Will Plastic Sheeting For A Greenhouses (Greenhouse Roofing) Withstand Hail Damage.... YES! 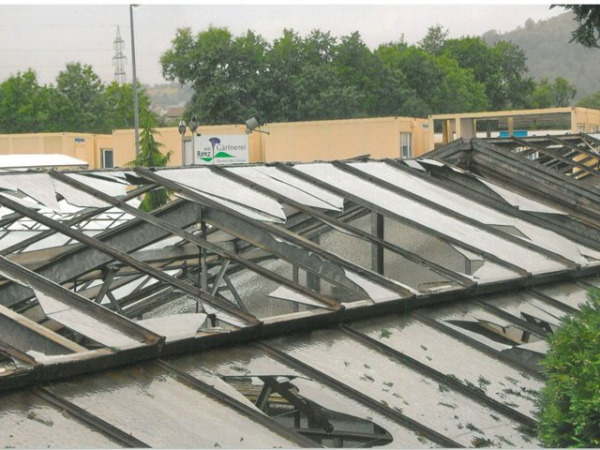 One of the worst hailstorms in recorded history hit the village of Wassel in Sehnte Germany on July 27, 2013! Giant fist sized hail balls bombarded the city causing massive damage to cars, homes, and most greenhouses! 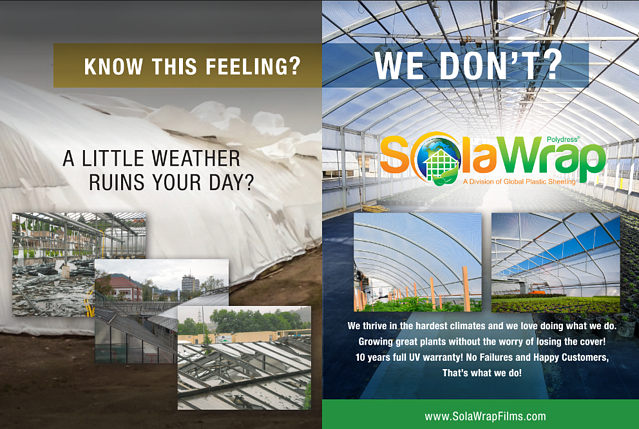 The greenhouses that were using SolaWrap greenhouse plastic, were barely impacted! Please see the images below of the storm and the results for a variety of greenhouses. 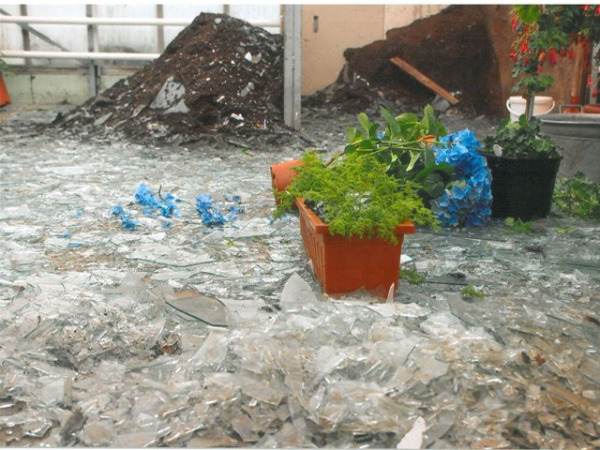 The hail destroyed glass houses, polycarbonate houses and double layer poly greenhouse roofs. The final picture shows virtually no damage to the front facing SolaWrap!! Hail NO! Don't Hesitate To Call Us! The Greenhouse Roofing That Has Staying Power!